In the current market, Bitcoin PHP Script are in great demand as they help you get instant price details, exchange rates, real-time Bitcoin value, and more with just a few clicks. So, today in this blog we have defined 6 top class Bitcoin PHP Scripts which are responsive, offer Ajax support, multi-browser compatibility and loaded with Bitcoin management facilities. Moreover, all the PHP scripts listed here are capable of delivering real-time details, payment information, support multiple payment gateways and allows you to add advertisements & other custom changes. Now let’s get on with the details of these scripts in depth. Bitcoin Richlist is a premium script with multiple facilities that help you display details of the top bitcoin holders by wealth. 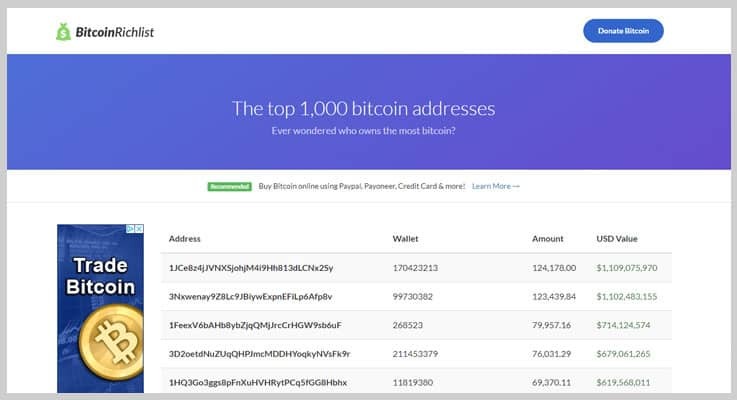 It enables you to share Bitcoin addresses along with the amount and value of it in dollars. In addition, this script is equipped with Localbitcoins.com affiliate system and allows users to do donation as well. The regular plan of this PHP script charges just $16 and offers updates, quality check, and various Bitcoin holder details. The extended plan of this script comes with a price tag of $135. It includes advanced features, responsive design and more. It provides you details like address, wallet number, amount invested and Bitcoin value of multiple top Bitcoin holders in the market. This PHP script is pre-equipped with Localbitcoins.com affiliate system. You get easy to setup PHP script that offers facilities like Bitcoin donations, Json cache, modern design etc. This script is fully compatible with browsers like IE11, Firefox, Safari, Opera, Chrome, Edge, etc. Plus, looks great on a different type of devices. If Bitcoin transactions are taking weeks, days or even several hours to confirm in that case you should opt for Bitcoin Transaction Accelerator PHP script. This script is specially designed to get people who want low-cost transactions to get confirmed quickly. With this Bitcoin script, you just have to mention the Bitcoin address and the entire broadcasting will be done by the script. It is responsive, easy to use, supports all the latest browsers, etc. First is the regular license which offers multiple basic services and will costs you $36. $185 is the cost of the extended license of this PHP script which has various enhanced features and services. This script is fully automated as no maintenance is required once the script is installed and configured successfully. With the help of this Bitcoin script, you can easily rebroadcast bitcoin transactions to get faster confirmation of transactions. 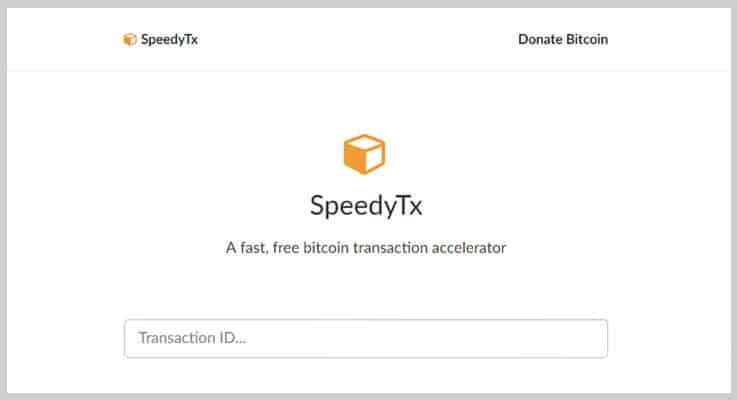 It is powered by Ajax, cross-browser compatible, offers Bitcoin donations and fully responsive in design. Offers an easy to use system through which you can accelerate Bitcoin transactions with ease. Bitcoin Live Trading is one of the best PHP scripts for those who are planning to share real-time exchange trade of Bitcoins and other details. It provides a dashboard which displays the latest pricing, with time and amount details. In additions, you get multiple pre-designed ad sections, social optimization, and customizations. For the first plan of this premium script, you will have to pay $11. For the second plan which has got advanced services and facilities, you will be charged $59. Helps you display real-time Bitcoin exchange trade details like exchange trade name, time, rate and amount related to the Bitcoin. The script also offers SEO optimization, multiple theme color options, and social sharing facilities. With this advanced PHP script, you are allowed to showcase ads in pre-built sections without any hassle. In addition, you can allow users to select the exchange trade firms and maximum trade numbers as well. Bitcoin Affiliate System is a one time install & configure script that automatically fetched data from various trusted websites. It is super easy for users as they have to select the country and the payment method available in the drop-down menu. The script then helps you generate a list of sellers along with other essential details. $36 is the amount payable for the regular plan of this script that provides basic services. The extended plan will cost you $285 and provide various services, free updates and more. 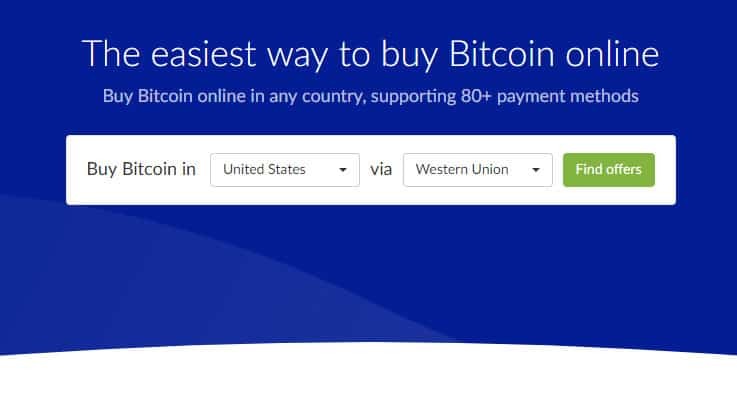 Using this PHP script you can easily buy online Bitcoin in more than 250 countries and use 80+ payment methods for transactions. It comes with a beautifully designed dashboard, Localbitcoins and Envato affiliate integration as well. With just a few clicks details like seller name, payment method, price and buy now button will be extracted with this script. You also get the option to show a list of cryptocurrency products with username and affiliate attached. It allows you to earn 20% of any users first deposit. BitcoinLive is an advanced script which helps you view the most recent Bitcoin trade price, all the updates and details are provided in real-time. Plus, it doesn’t require a page refresh to display updates. With a single click, you can share details on Twitter, define settings for rate fetching and apply currency details as well. 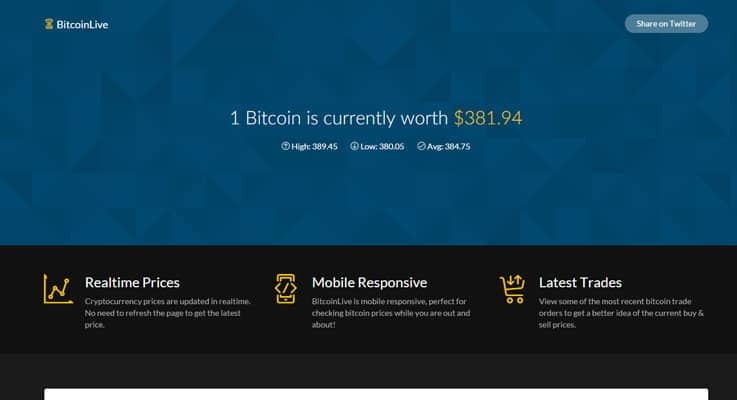 BitcoinLive is a responsive PHP script which offers all regular services at a cost of $16. The extended plan will cost you $145 and provides frequent updates, real-time changes, and multiple customizations. Allows you to fetch the latest Bitcoin trade orders with various details like type (seller or buyer), price per BTC in dollars, amount with time details. 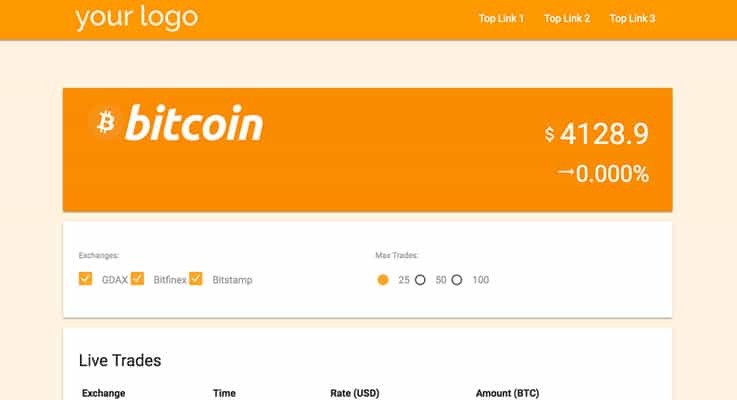 With this Bitcoin script, you get real-time bitcoin price ticker and trade offers which are displayed on the front-end. You can easily configurable different type of advertisements, currencies (USD/EUR), fetch rate, Tweet message, Bitcoin donation, etc. This Bitcoin PHP script is fully responsive and looks great on different devices. It helps you check bitcoin prices and other details from mobiles, tablets, desktops, etc. 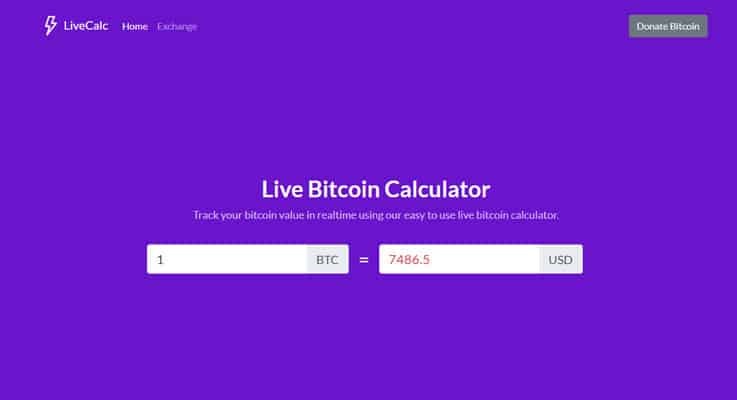 Live Bitcoin Calculator is another responsive PHP script which auto calculates the value of Bitcoins in real-time. This script does not require any database or cronjobs, plus you also get an inbuilt exchange widget which helps users buy Bitcoins directly from your website. The script is cross-browser compatible, comes with color change options and responsive design. You can enjoy all the basic features and regular services of this script just by paying $21. For the extended plan, you will be charged an amount of $185 for multiple increased services. Allows you to track the current value of Bitcoin in real time through the calculator. With which you get around 75 currency options and more than 70 exchange trade options. This Bitcoin script provides an easy Bitcoin donation option in which you just have to define the Bitcoin address for donation. The Bitcoin data and other essentials are being fetched from websockets which is a reliable source of Bitcoin information. You also get the color changing feature on price updates and provides earn passive cryptocurrency with a built-in exchange widget which can be added to any website. We have now arrived at the end of this article and I am sure that you will fetch out one suitable Bitcoin PHP script that can fulfill all your needs. Now, for those who have doubts related to the scripts defined on this blog, please mention them in your comments below. We will try to get back to you on them as soon as possible.